ICICI Prudential MF (17.5%) leads the pack in terms of HNI assets. 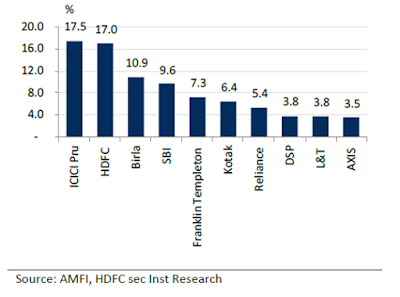 HDFC MF comes a close second at 17% as per the report. Overall, top five fund houses hold 62.3% market share of HNI assets.